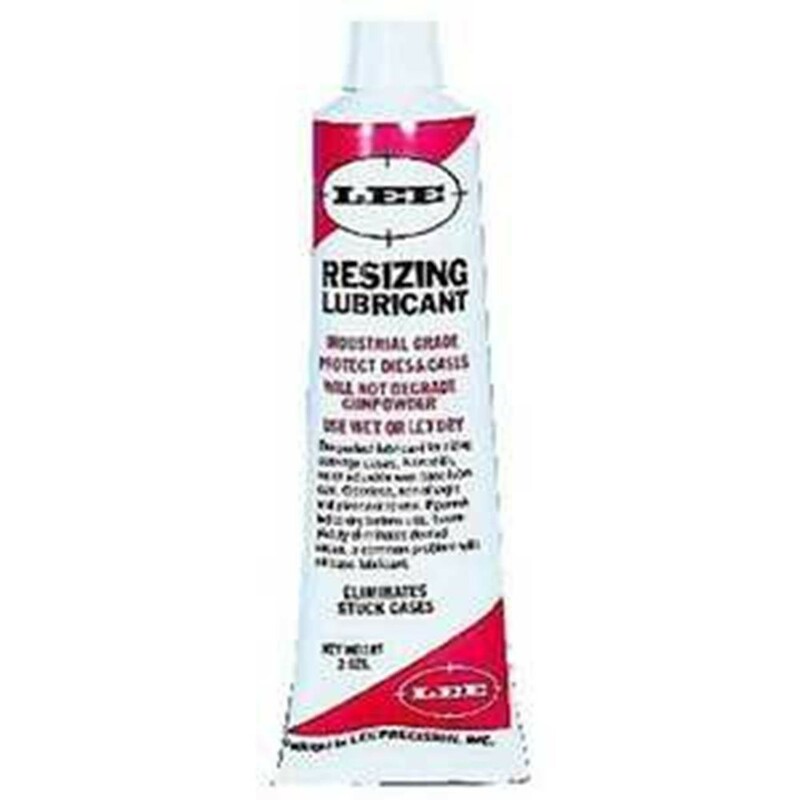 Lee Sizing and Case Lube helps eliminate stuck and dented cases and makes resizing easier. The formula comes in a plastic tube, is non-sticky, non-allergenic, is pleasant to handle, can be thinned with water and is efficient, a little goes a long way. To apply, rub a little lube on your fingers and work it into the brass before the sizing operation.